The film, which heavily influenced Beyoncé’s 'Lemonade,' depicts the descendants of enslaved Africans living off the Carolina coast at the turn of the century. 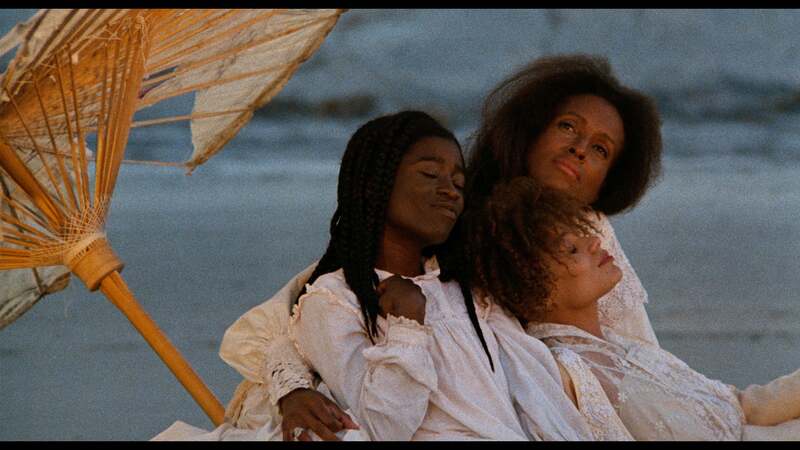 Daughters of the Dust, the groundbreaking 1991 film produced by Julie Dash—which heavily influenced Beyoncé’s mesmerizing visual album, Lemonade—has undergone a complete restoration and returned to theaters to captivate and inspire a new generation. Dash smashed a glass ceiling over two decades ago when she became the first Black female filmmaker to get funding for a major theatrical release of her movie, which she also wrote and directed. Several years before Daughters hit theaters, Steven Spielberg had produced and directed a feature film about a Black family in the rural South, with a screenplay written by famed Dutch writer Menno Meyjes. Spielberg’s 1985 drama The Color Purple starred a predominately Black cast and was the highest-grossing PG-13 movie of that year. With the mainstream, global success of The Color Purple, the 11 Academy Award nominations, including nods for three Black actresses—Whoopi Goldberg, Oprah Winfrey and Margaret Avery—it appeared that Blacks had finally arrived in Hollywood. However, the business of making films remained unchanged. While Blacks could give riveting performances in front of the camera, an obvious color barrier existed behind the camera, with little to no Blacks being given access to funding to produce feature films or being hired to write or direct them. Enter Julie Dash. A young, gifted, aspiring filmmaker from Queens, New York, with a master’s degree from UCLA’s film school in tow, and the screenplay for Daughters, which she had been researching and developing for 15 years. Dash’s pursuit to secure financial backing to produce her film was relentless. For a long while there were no takers, and Dash’s script was canned by many in Hollywood. “When you are trying to show something different and people are not interested, they are asking, ‘What’s it like? Is it like Sounder? Is it like Gone with the Wind? Oh, whatever, we’ve seen that before.’ They simply weren’t interested,” she said. Dash credits ESSENCE magazine for helping her hold on to her dream. “Reading ESSENCE in the ’70s was a motivator. The models were beautiful, my sister [Charlene Dash] was one of them. It allowed me to think beyond the confines of how I saw myself in the world, prior to ESSENCE. ESSENCE was a game changer. Black people weren’t just marching and protesting, they were posing, they were in studio situations, fantasy situations, they were dressed liked Africans,” said Dash. After producing a 10-minute trailer of the film and shopping it around, Dash finally secured a high six-figure budget from American Playhouse Theatrical Films to produce something unique. Daughters is a refreshingly different, yet factual depiction of a Black community of Gullah Geechee people, descendants of enslaved Africans living on the Sea Islands, off the Carolina coast at the turn of the century. Dash’s well-baked film removes several key ingredients that had been ubiquitous in most storylines about Black people. One won’t find a scene set in a plantation or urban ghetto. Poverty and hard times are absent from the daily lives of the characters, who often picnic on the beach and feast on a decadent mix of foods that thrive abundantly on land and in the sea. Black women lead the film’s narrative and garner respect from every man. The Black family featured is not broken, and the men and women live in harmony. None of the characters serve a master or mister. Dash’s characters carry a regal quality, based on her modeling each one with the attributes of an African deity like Ogun or Oshun. With grace, intelligence, serenity and sensibility being germane to each character’s existence, there is no room in the script for a stereotype. Daughters not only broke the paralyzing generalizations of Black identity that had plagued the big screen for decades, but also delivered a tantalizing cinematic experience that fused breathtakingly beautiful imagery, shot entirely in natural light, with a symphonic, original score, deeply rooted in African rhythms. Great attention to detail was paid in generating an authentic portrayal of the Gullah Geechee people who, unlike other African-American descendants of slaves, were able to preserve much of their African traditions, due to the remote location of the Sea Islands from mainland society. 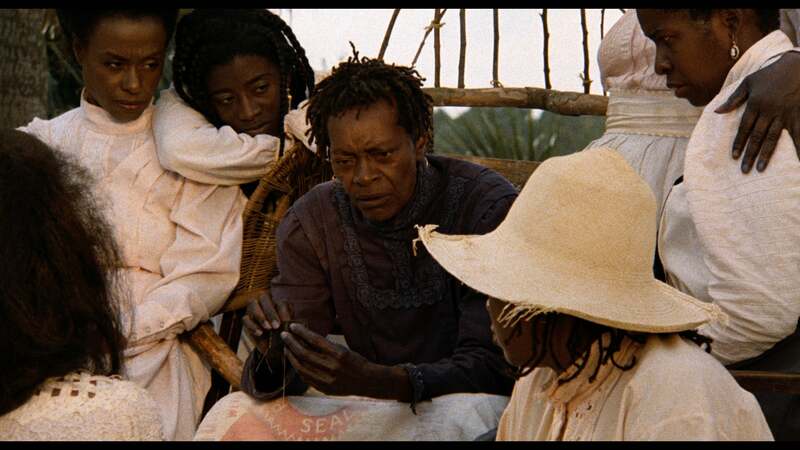 African references provide a significant and culturally rich backdrop throughout the film—from the narrative being spoken in a griot-like form to the inclusion of an African-styled burial ground. Grammy award-winning composer, John Barnes, masterfully created a soundtrack to embody the fullness of the African diasporic existence, using various instruments and genres to produce a global, New World sound, including the synclavier, the Middle Eastern santur, African bata drums, and African talking drums. Given the innate reverence displayed throughout the film for God and the afterlife, Barnes integrated traditional West-African worship ceremonies, Islamic prayers and Santeria into the soundtrack. Daughters, a timeless masterpiece, has been screened worldwide and won numerous awards, including the Sundance Film Festival’s prize for Best Cinematography and, most recently, a special award from the New York Film Critics Circle for its 25th Anniversary Restoration Release. Dash continues to be a prolific producer and has a number of film projects in development, including Travel Notes of a Geechee Girl and One Woman’s Army, which is based on the true story of the 6888th Central Postal Directory Battalion of 850 Black female soldiers established by former first lady Eleanor Roosevelt, in partnership with educator Mary McLeod Bethune. One Woman’s Army is a collaboration with Sandra Evers-Manly, cousin of slain civil rights leader, Medgar Evers. Both Dash and Evers-Manly have been aggressively seeking funding to produce this film since 2007. 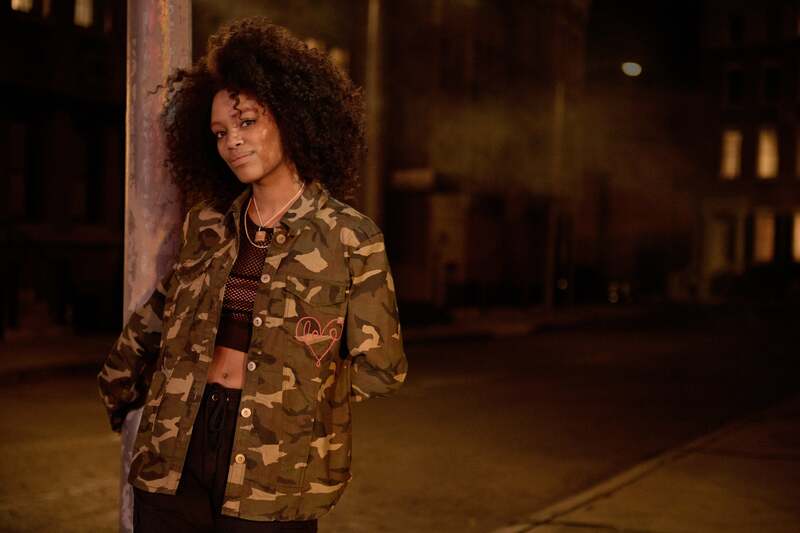 While the road to getting film projects financed can be a steep climb, Dash does feel optimistic about the landscape for Black women in film. For more information on screenings of Daughters of the Dust in a city near you, click here. Follow Julie Dash on Twitter @juliedash or visit her official website juliedash.tv.